The Patra Bali Resort & Villas is ideally located in Tuban amidst beautiful tropical gardens in South Kuta. The resort is situated just a 5 minutes' drive from Ngurah Rai International Airport and just a 20 minute drive from the capital city of Denpasar where guests can explore the cultural and historic attractions, restaurants, shops and entertainment venues the city has to offer.This exquisite resort is surrounded by luxuriant greenery and exudes a relaxing, tranquil atmosphere allowing it to fit beautifully into its surroundings. The guest rooms feature traditional Balinese style with wood furnishings and private balconies taking in the views of the ocean or tropical landscape. The resort offers a host of exemplary amenities and facilities that are sure to appeal to all the family with an entertainment programme designed for younger guests. The Hilton Garden Inn Bali Ngurah Rai Airport hotel boasts an ideal location, only 500 meters from the Ngurah Rai International Airport. Reach all the exciting attractions of Kuta in just 10 minutes via our complimentary shuttle service.Make yourself at home in a stylish guest room with all you need to relax and stay productive, including a desk with ergonomic chair, 42-inch HDTV, and complimentary WiFi. The Garden Sleep System™ bed has adjustable firmness, allowing you to set your own level of comfort. Choose a suite and appreciate the extra space in the separate living and dining area.Each morning, join us in our restaurant for a tasty cooked-to-order breakfast. The restaurant is also open for lunch and dinner. After a hectic day exploring the sights or doing business, relax with a drink in our lounge bar. Sunbathe or take a dip in our landscaped outdoor pool or enjoy a re-energizing workout in the 24-hour fitness center. Stock up on drinks and snacks for your in-room refrigerator from the Pavilion Pantry convenience store. Children will adore playing in our children's pool and meeting new friends at the kids' club.With a 24-hour business center and more than 10,000 sq.ft. of versatile indoor and outdoor meeting space, our hotel near Ngurah Rai Airport is ideal for meetings and events. Let our professional team members help plan the details, ensuring your event is a real success. 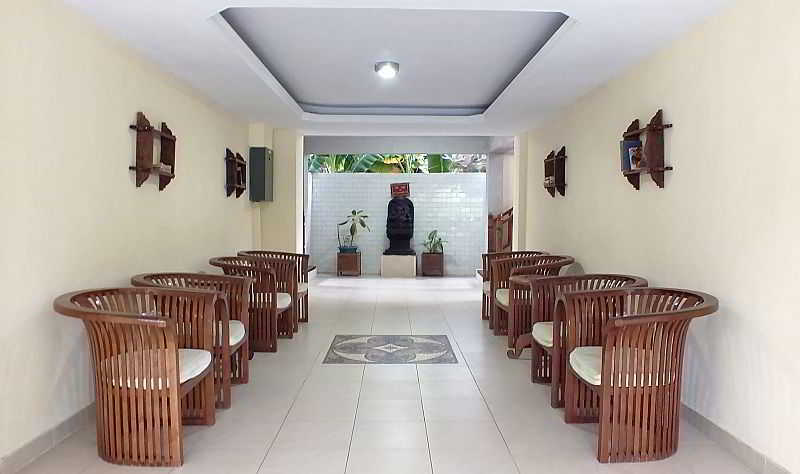 Ideally located on Kediri Street in Bali's Tuban area, this attractive, modern hotel is easily accessible from the airport and is only a short drive from the famous Kuta Beach area. Also nearby guests will find a range of restaurants, cafés and shops as well as two water parks. With its spacious and comfortable rooms and suites, the hotel is imaginatively designed with a contemporary chic atmosphere. Each air-conditioned room comes with a large work desk, an en suite bathroom, and a handy tea and coffee maker. Guests can sip a coffee in the coffee shop and dine in the onsite restaurant or indulge in room service for a relaxing night in. The onsite spa offers a wide range of massages as well as beauty treatments, and the hotel also provides amenities for business travellers, including three fully-equipped meeting rooms for ten to 200 guests. This hotel enjoys a convenient setting in Bali, lying just a 5 minutes' driving distance away from Ngurah Rai International Airport and Tuban Beach. Guests will find themselves within easy access of a host of shopping opportunities and entertainment venues, as well as the stunning Kuta Beach. 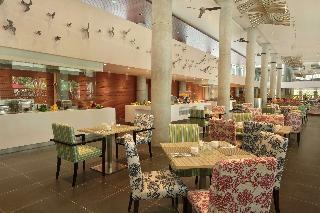 This modern hotel is stylishly designed, featuring contemporary influences. The guest rooms are beautifully designed, showcasing style and elegance. The rooms are well equipped with modern amenities. Guests will be impressed by the range of leisure and dining facilities and services that this wonderful hotel has to offer. This hotel enjoys a delightful setting, lying just a 5 minutes' walking distance away from Kuta Beach and 10 km from Denpasar. Guests will find themselves in a great setting from which to explore the delights that the area has to offer. The hotel is located just a 10 minutes' driving distance away from Ngurah Rai International Airport. This wonderful hotel welcomes guests with the promise of an enjoyable stay. The guest rooms are elegantly designed, bathing visitors in tropical splendour. The rooms are well equipped with modern amenities. Guests are invited to take advantage of the wide range of facilities and services that the hotel has to offer. Guests can experience the ultimate rejuvenation and relaxation with a spa or massage treatment. Featuring 192 fresh and modern guest rooms, Holiday Inn Express® Baruna Bali is situated just 10 minutes away from Ngurah Rai International Airport. Our hotel location provides convenient access to major area attractions. It is within walking distance to the famous Segara Beach, also close by, the Waterbom Bali, the colorful Kuta Art Market, major shopping malls and countless restaurants for your dining pleasure.The hotel is part of Holiday Inn Resort® Baruna Bali. Once you come on board, everything you'll need during your stay is located on site with world class thrills ranging from dining, spa, live entertainment, world-class MICE facilities and a spectacular infinity pool in a beachfront location.Each of Holiday Inn Express Baruna Bali's 24 sqm guest room is equipped with high quality bedding and a choice of soft or firm pillows for a comfortable and restful night's sleep. The range of facilities includes a fitness room, a rooftop outdoor swimming pool and self-service laundry.While staying with us you will find plenty to do near our Kuta hotel that is suitable for adults and kids with different interests, making Holiday Inn Express® Baruna Bali the smart choice for savvy leisure and business travelers. 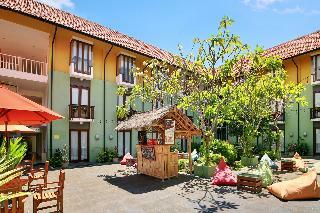 The hotel offers a relaxed, affordable and hassle-free stay whilst enjoying everything Bali has to offer. 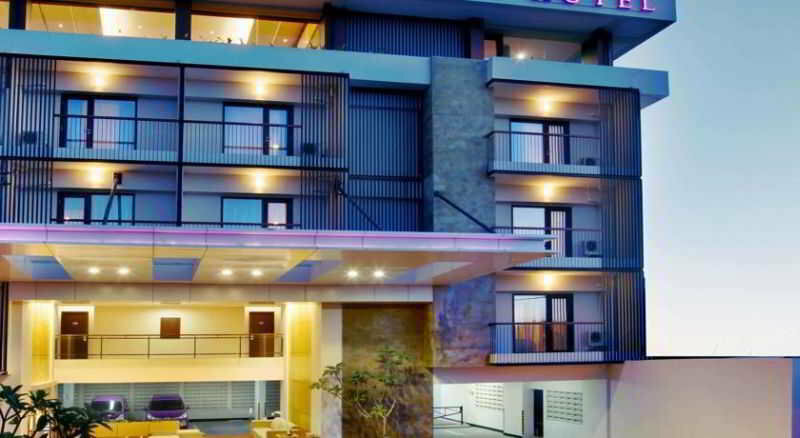 This lovely hotel is situated in Tuban. A total of 78 bedrooms are available for guests' convenience. Travellers can make good use of the wireless internet connection available at the public areas of the establishment. Customers will appreciate the 24-hour reception. Pets are not permitted on the premises. There is a car park at Yans House Hotel Bali. Yans House Hotel Bali offers airport transfer service. A fee may be chargeable for some services. This charming club resort is situated in Bali, lying within easy access of the Discovery Shopping Centre and Waterbom Park. The resort is situated in close proximity to a host of attractions in the area, as well as an abundance of restaurants and vibrant nightlife areas. Kuta Beach is located just a 15 minutes' driving distance away. 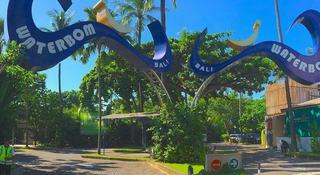 Ngurah Rai International Airport is conveniently situated just a 5 minutes' driving distance from this resort. Nestled amidst luxuriant greenery and tropical splendour at the heart of South Kuta, the resort offers a secret paradise. The guest rooms are sumptuously designed, featuring elegant Balinese influences. The rooms are well equipped with modern amenities. Guests are sure to be impressed by the wide array of facilities and services that the resort has to offer. 18 Suite Villa Loft at Kuta offers well-appointed accommodation with a private plunge pool and a fully-equipped kitchen, a 5-minute walk from Discovery Shopping Mall. Guests enjoy free Wi-Fi in all areas and free return airport transfers.A 15-minute walk from 18 Suite Villa Loft at Kuta leads to Kuta Square and Kuta Beach. Ngurah Rai International Airport is 10 minutes' drive away from the property.The 2-storey villa tastefully blends modern interiors with Balinese décor. A flat-screen cable TV is available in both living area and bedroom. The elegant, en suite bathroom features a bathtub, hairdryer and a set of free toiletries.Buffet Breakfast is served daily in the property's restaurant. 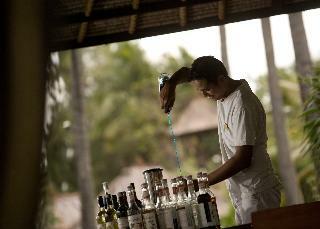 Staff can arrange pampering in-villa massages and provide laundry service. Room service is offered at a charge, while free parking is available on site.